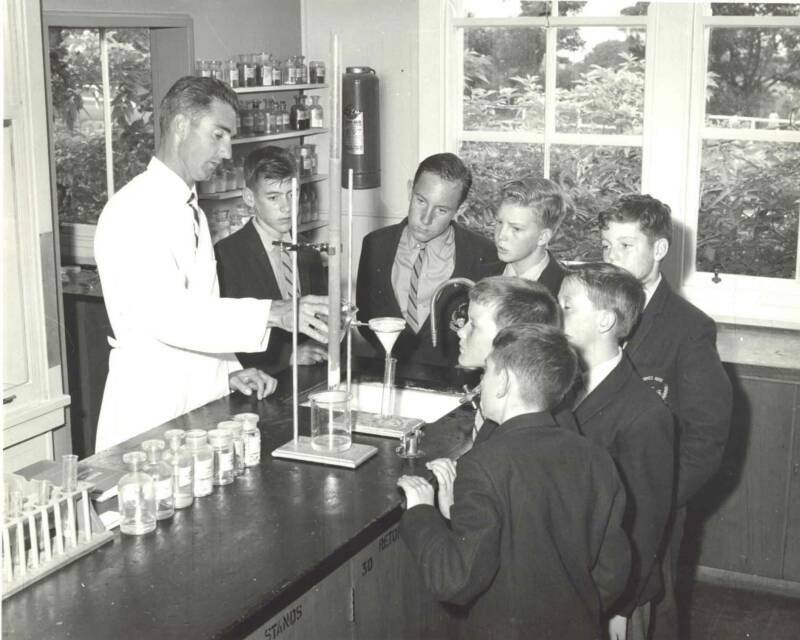 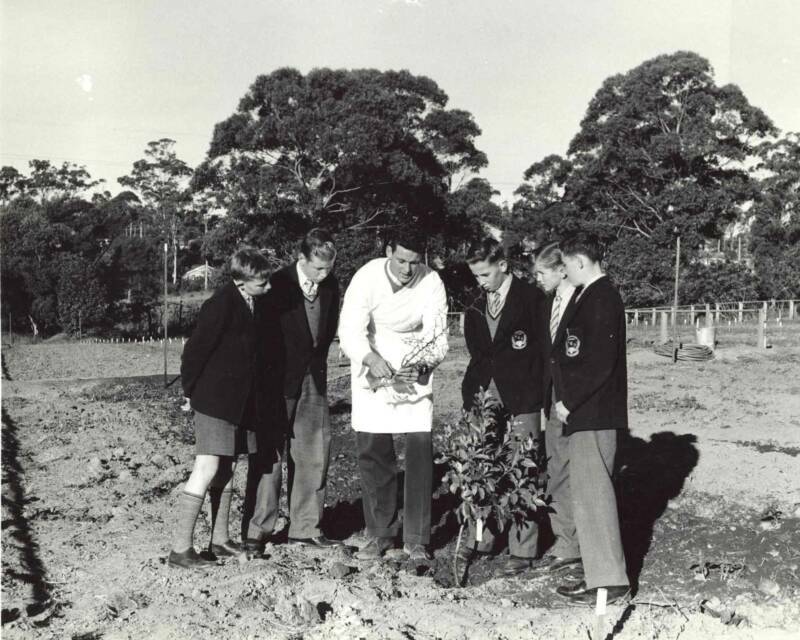 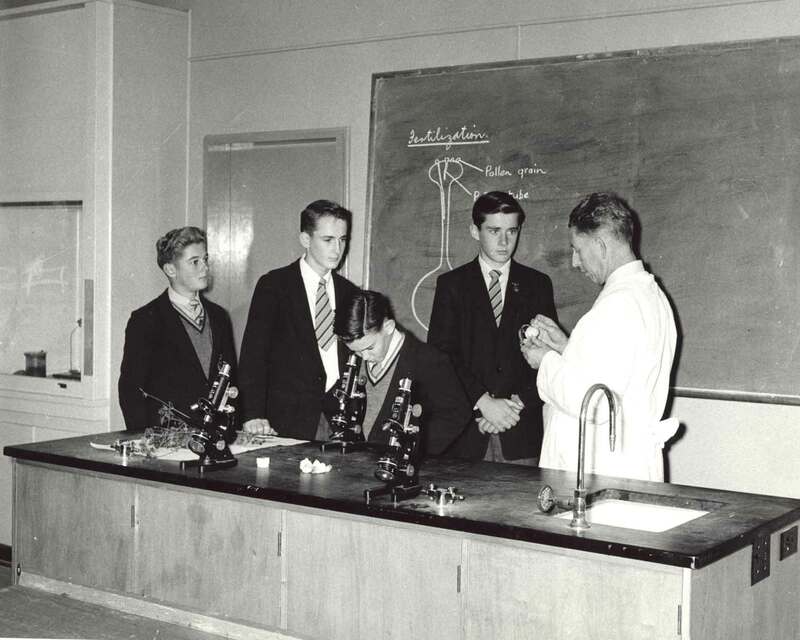 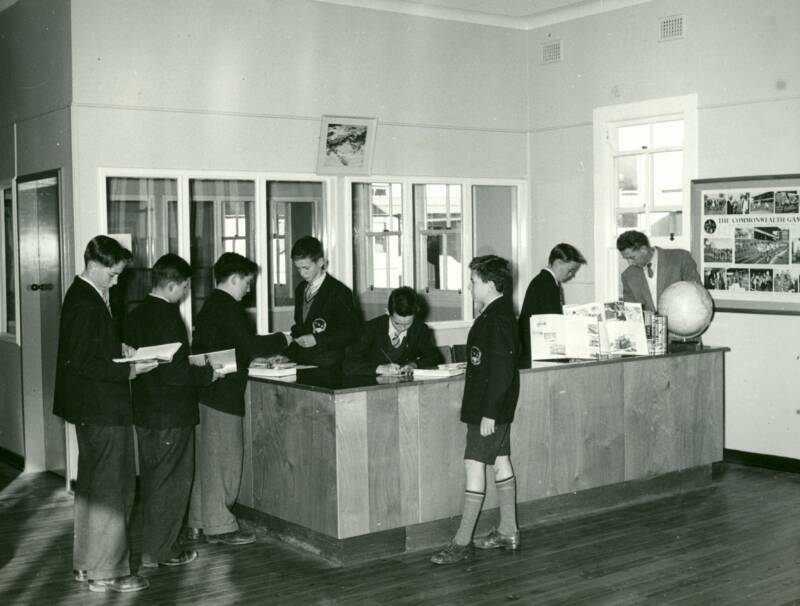 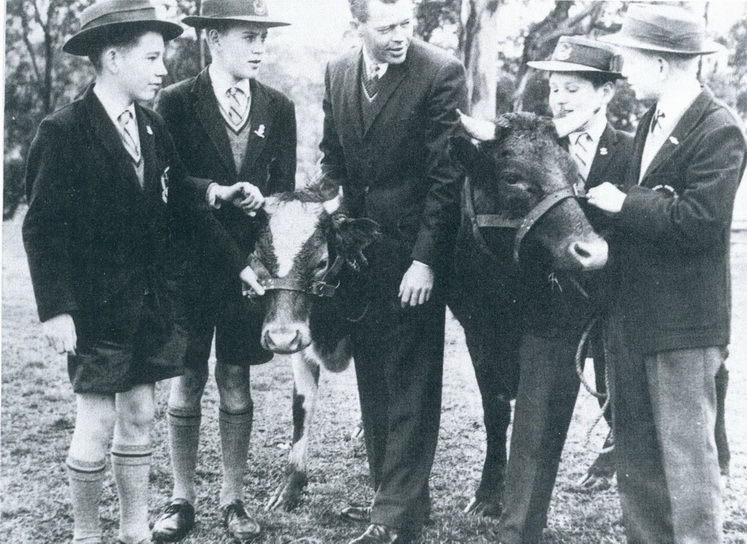 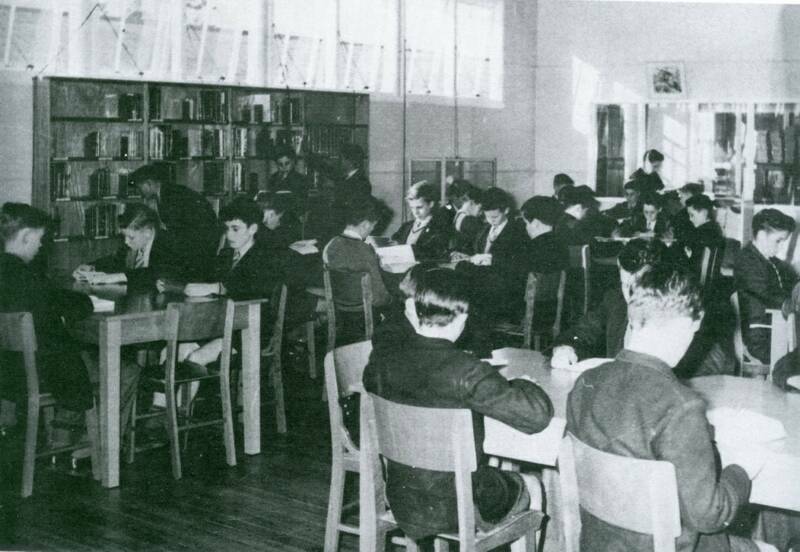 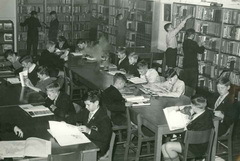 James Ruse Agricultural High Schools Pioneers Inc.
Mr. T Grogan and pupils discuss animal husbandry. 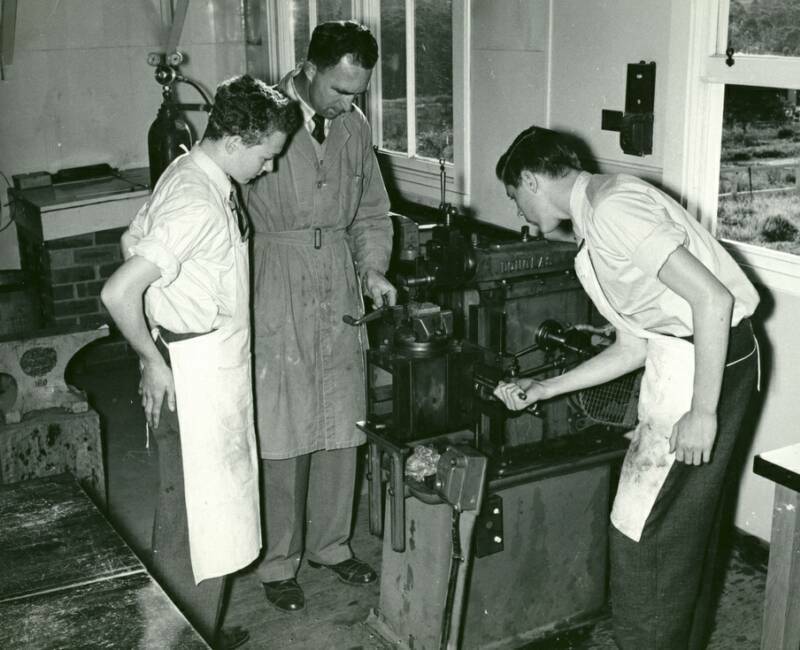 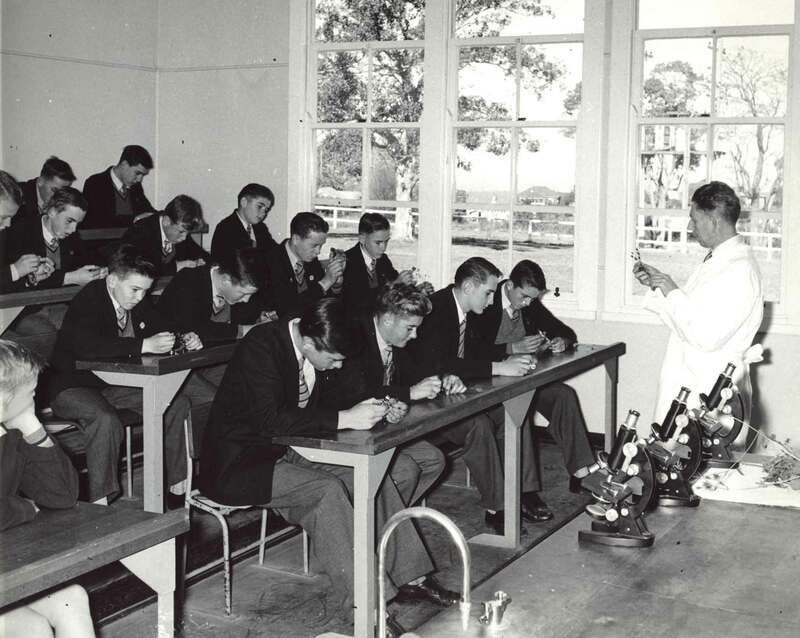 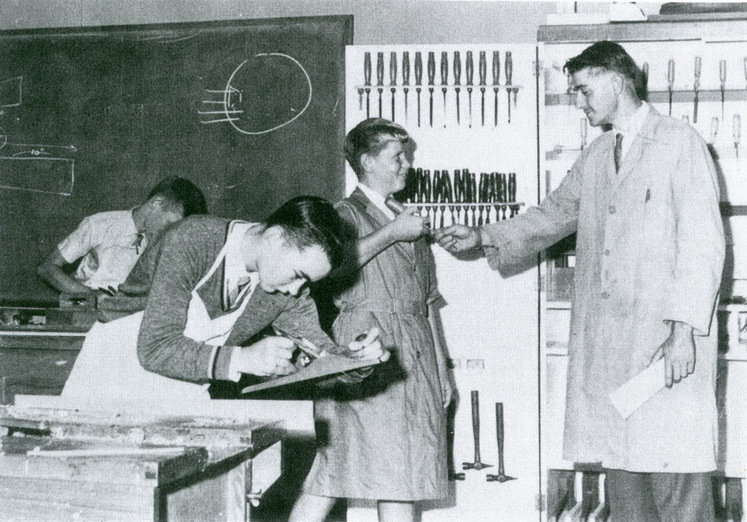 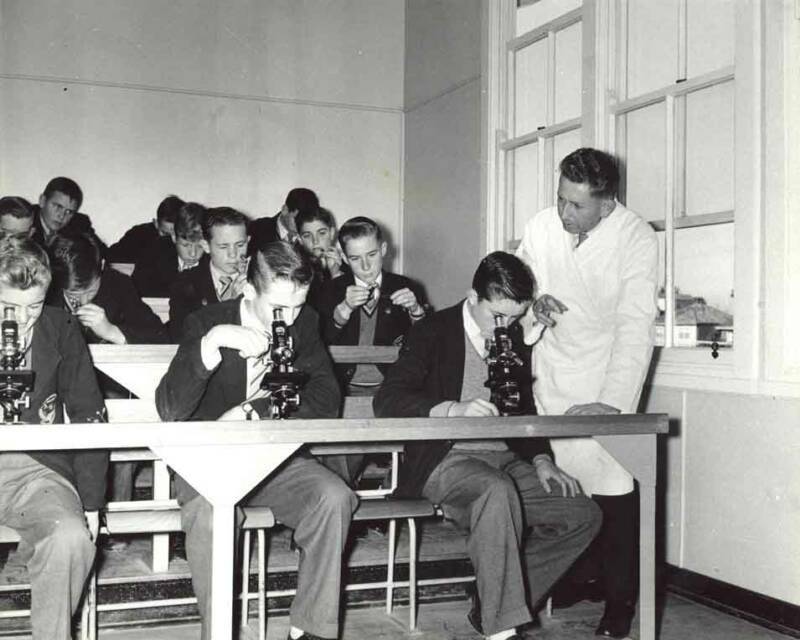 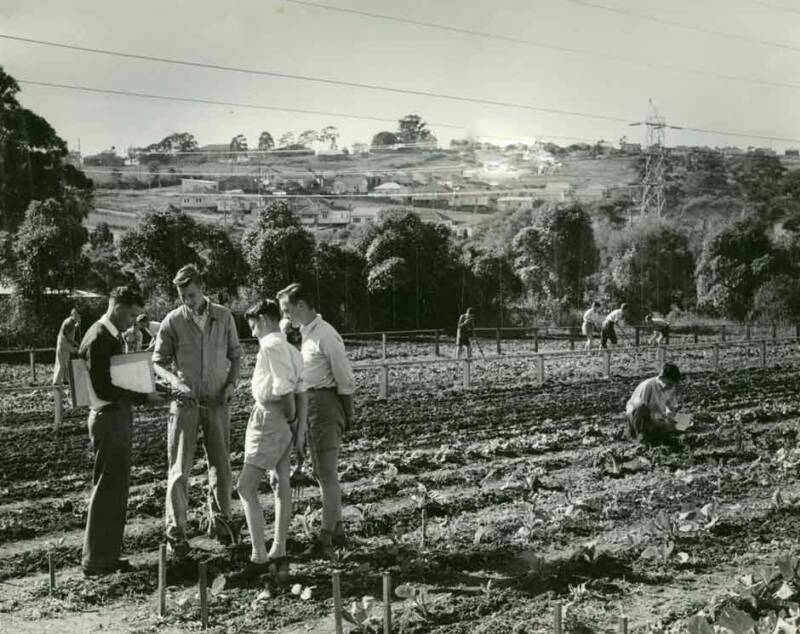 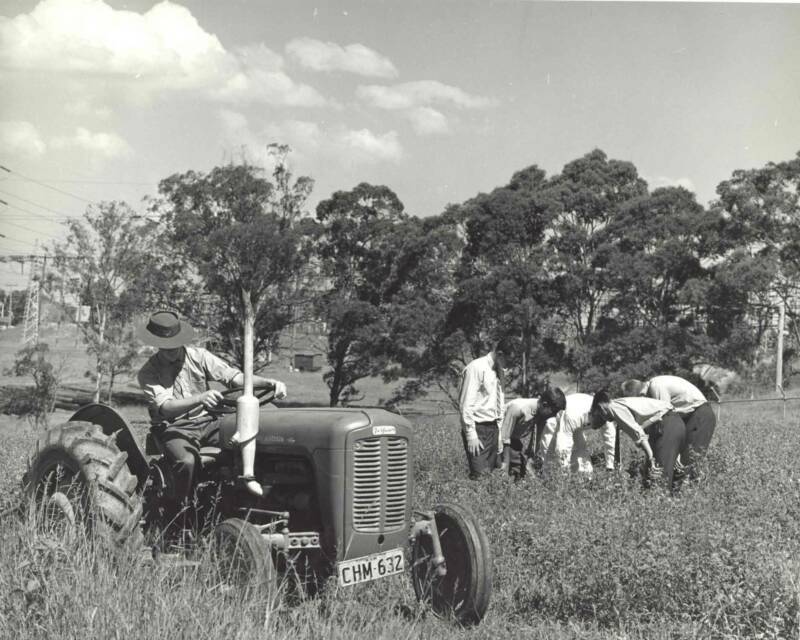 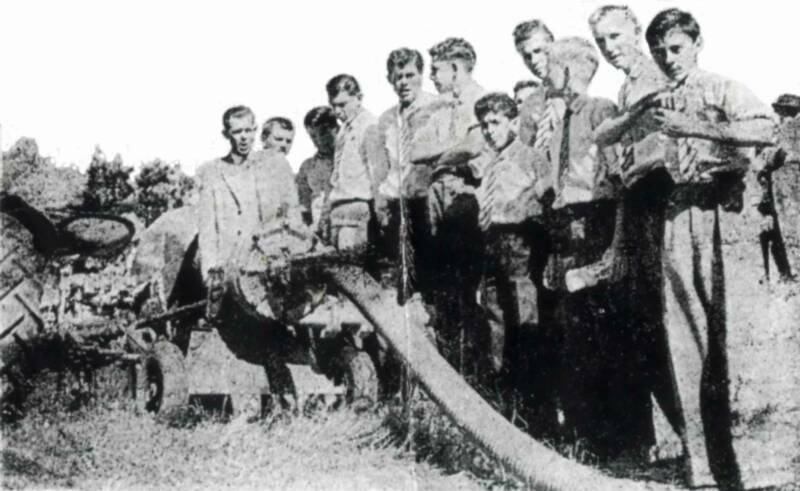 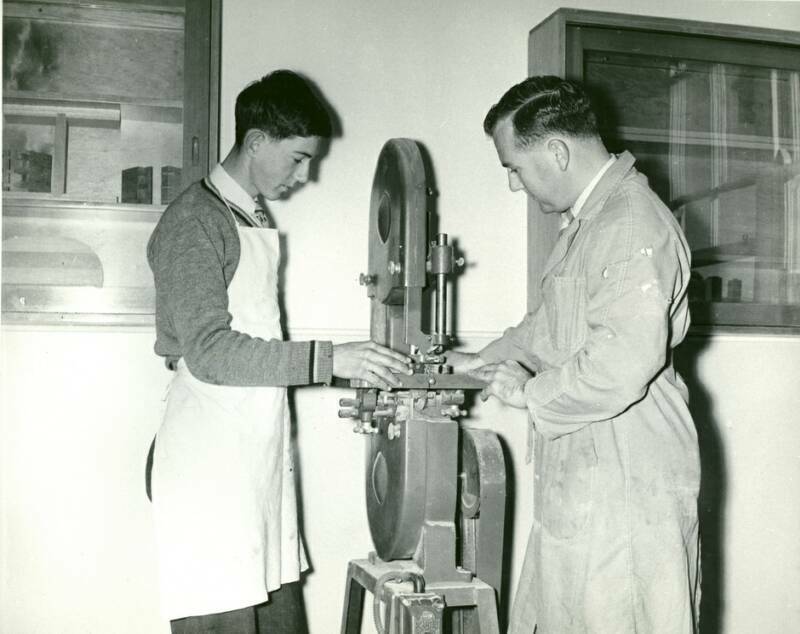 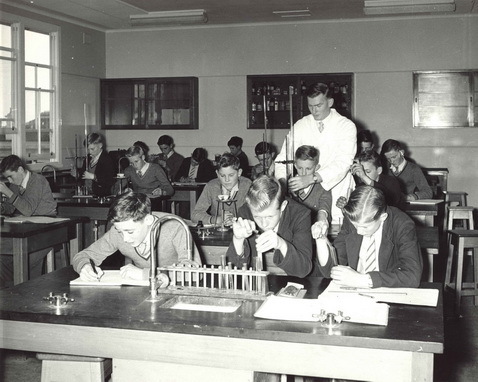 The 1960 Land Newspaper caption says:- "Students - Fourth year students from James Ruse Agricultural High School, Carlingford, examine a pump used in the demonstrations of irrigation equipment. 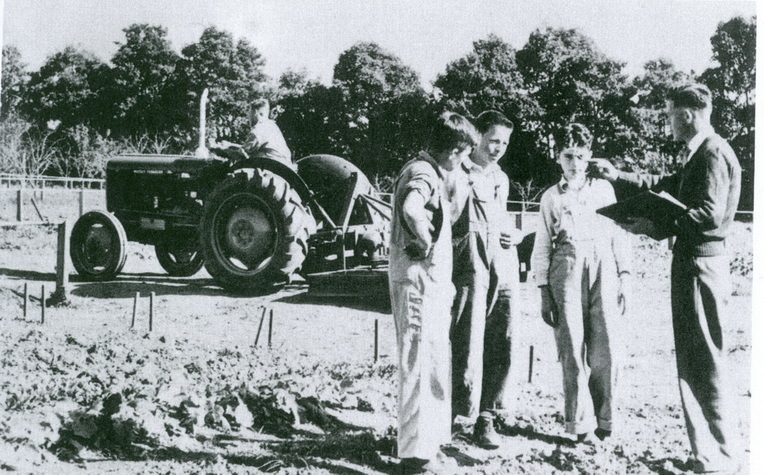 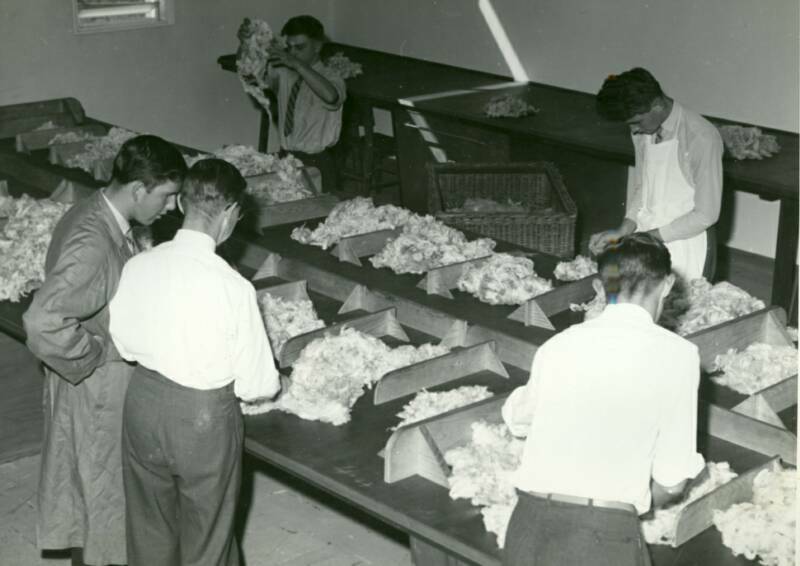 On the left is the agriculture and biology master, Mr. T. Grogan, who was in charge of the party."